I think we’re classing this as a toy because there’s a lot of fun to be had with this Star Wars R2-D2 Talking Bank. Designed for ages three and above, it’s another excursion for the movie robot, this time encouraging your child to save his or her pennies. 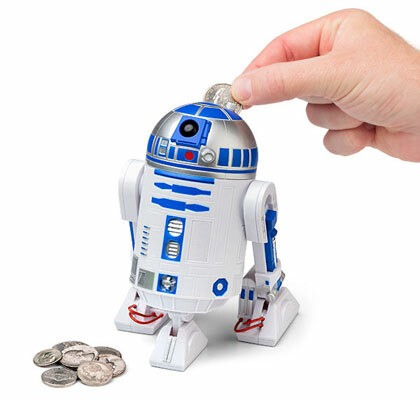 Just drop the coins into the officially-licensed droid and you’ll be treated to some trademark R2 sounds as a little ‘thank you’. Of course, you can empty it and put the coins in again, but we’re hoping it might encourage kids to save for a rainy day. Or another Star Wars toy. The price, if you want one, is $21.99.